Shakir wants Home to rise to the challenge of defeating Albirex. SINGAPORE, 2 OCT 2018 – After being crowned ASEAN champions in the AFC Cup and finishing second in the Great Eastern-Hyundai Singapore Premier League (SPL) to qualify for the 2019 AFC Champions League, Home United FC want to cap off the good year with a seventh Singapore Cup triumph. 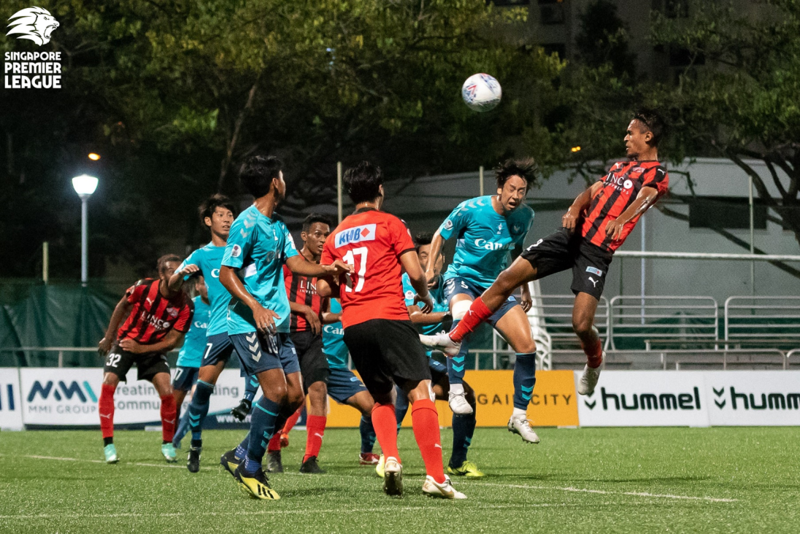 First, they need to overturn a 3-2 first leg deficit as they host champions Albirex Niigata FC (S) in the second leg of their semi-final tie at Bishan Stadium on Wednesday night, 3 October. The match will kick off at 7.45pm. BACKGROUND It had looked unlikely after a poor start to the season that saw them win just two of their opening seven matches. However, Home got their act together when it mattered and they finished the campaign with an 11-game unbeaten run in the league to become the best-placed local team, ensuring their spot in the 2019 AFC Champions League qualifying rounds. That capped off a reasonably good year for the Protectors, who were also crowned ASEAN Champions in the AFC Cup in August. However, it could get even better – a potential record seventh Singapore Cup triumph is on the cards. But they first have to overturn a one-goal deficit from the first leg of their semi-final tie, having lost 3-2 to Albirex last week. Balestier Khalsa FC or Brunei DPMM FC will be waiting in the final. No team has managed to defeat the White Swans this term, but defender Shakir Hamzah is bullish about their chances. “If there’s a day to show that we’re capable of playing in the ACL qualifiers next year, this is it,” the 25-year-old declared. “They have not lost this season but as long as we stay together as a unit and work together as a team, we can beat them. Of course, it will be easier said than done against an Albirex side that just became the first-ever team to finish a SPL season unbeaten. Home’s task is made even tougher with key full-back Kenya Takahashi and chief forward Shuhei Hoshino returning from suspension and the latter is ready to make up for lost time as the White Swans target to sweep every domestic trophy available for a third straight year. “I was encouraging the team while watching the game from the outside,” said the 22-year-old, who also missed Sunday’s 2-1 win over Warriors FC due to a slight injury. “I want to contribute to the team both by encouragement and scoring goals. Takahashi and Hoshino are now back for Albirex, but they will miss the services of diminutive attacker Taku Morinaga due to his late red card in the first leg. On the other hand, Home will also have to contend without influential skipper Izzdin Shafiq due to suspension for accumulation of two yellow cards. It has been an excellent year for the 30-year-old, with his opener in the first leg putting him on nine goals in all competitions. The electric winger will be looking to carry where he left off against an Albirex backline that has not kept a clean sheet for the past four outings. The 23-year-old’s return is a big boost for the White Swans and Home will need to watch out for his lung-bursting runs down the left and ability to take wicked set-pieces. Get your tickets for the game at fas.org.sg/tickets and watch Home clash with Albirex at fas.org.sg/live2!